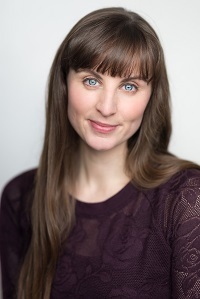 Katy Treharne's theatre credits include Rebecca in My Land's Shore (Theatre Soar); Yum-Yum in The Mikado with the Welsh Musical Theatre Orchestra; Lily in the professional première of Ivor Novello’s Valley of Song (Finborough Theatre); Mary, Mother of Jesus in the première of the musical Love Beyond (Brighton Centre); Alternate Christine in The Phantom of the Opera (Her Majesty's Theatre); and Nina in the UK première of Dear World (Charing Cross Theatre). Katy toured Sweden and Norway with Peter Jöback on his I Love Musicals tour and features on the album. She appears on Only Men Aloud’s album In Festive Mood and the charity album Love on 42nd Street. 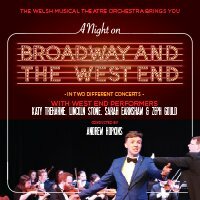 Katy has an extensive concert career and a debut solo album Think of Me and she has recorded on other albums including the charity musical theatre album Speechless, the original professional cast recording of Valley of Song, and on the Christmas album for Samaritans Purse, The Greatest Gift of All. She has appeared on the soundtrack for films including Tim Burton's Dark Shadows, How to Train Your Dragon 2 and Miss Peregrine's Home for Peculiar Children. 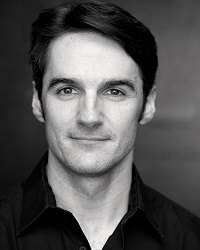 Lincoln Stone was the principal tenor for Carl Rosa Opera for a number of years, performing in the UK and the USA as the roles of Nanki-Poo in The Mikado, Ralph Rackstraw in HMS Pinafore and Frederic in The Pirates of Penzance. In London's West End he understudied and played principal roles in the original cast of Marguerite and Legally Blonde, and was also in the original casts of Desperately Seeking Susan and The Drowsy Chaperone. Other roles include Robert in Company, Boone in Whistle Down The Wind, Georg in She Loves Me and Valentin in Kiss of the Spider Woman. 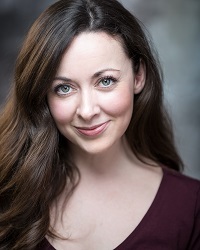 Sarah Earnshaw's theatre credits include Connie in The Nightingales (Theatre Royal Bath and UK Tour); Betty Spencer in the UK tour of Some Mothers Do ‘Ave ‘Em; Jennifer in Nativity! The Musical (Birmingham Rep and UK tour); Lady Of The Lake in Spamalot (West End and UK tour); Christmas Past in Scrooge (London Palladium); Standby for Glinda in Wicked (Apollo Victoria); Travels With My Aunt (Chichester); Audrey in Little Shop Of Horrors (Aberystwyth Arts Centre); Emma Carew in the UK tour of Jekyll and Hyde; Kate in Heart Of Winter (Tristan Bates Theatre); Alice in Wonderland (West Yorkshire Playhouse); Lead Vocalist in You Won’t Succeed On Broadway (St James); Daisy in The A to Z of Mrs P (Southwark Playhouse); Sam in Payback (Riverside Studios); Amanda in After The Turn (Courtyard Theatre); Mother in 5 Children and It (Tristan Bates Theatre); The Royal Variety Performance (London Coliseum); Fairy in Jack and The Beanstalk (Sheffield Lyceum); and Scheherazade in Aladdin (Qdos Entertainment). 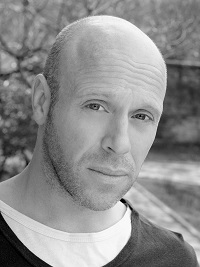 Zeph Gould's theatre credits include Factual in the Geronimo Stilton Asian Tour; CEO in Exposure the Musical in London; Freak/Policeman Cover and Leigh Bowery/Steve Strange in Taboo; the Mayor in The Wizard of Oz (London Palladium) and understudied Uncle Henry and the Wizard; Carousel (Savoy Theatre); Sweet Charity (Crucible Theatre); Gordon in Rent (Prince of Wales Theatre) and understudied Collins and Benny; Victor in Cats (New London Theatre) and understudied Gus the Theatre Cat and Old Deuteronomy and played Rum Tum Tugger; Phillip in the original company of the 25th anniversary production of Jesus Christ Superstar (Lyceum Theatre London) and understudied Simon, and played Judas in the International Blues Festival in Hell, Norway. Zeph has toured the UK in the productions Rent and The Pirates of Penzance and has performed in the London and Bochum companies of Starlight Express performing many roles including The Red Caboose.